The Venezuelan opposition has been “lobbying for sanctions” in Washington against the Maduro government, and now blames him for the economic sanctions imposed by Donald Trump, Foreign Minister Jorge Arreaza told RT. In an interview with RT Spanish, Arreaza addressed the massive wargames which kicked off across Venezuela earlier on Saturday, bringing together 900,000 people, including 200,000 troops and hundreds of thousands of civilian militia members. “All the people of Venezuela, all high-ranking military personnel are to take part in these drills to prepare to protect us, our territory, our sovereignty, including by military means,” he told RT after meeting with UN Secretary-General Antonio Guterres in New York. On Friday, the White House also announced a new batch of painful sanctions against Venezuela, which banned the new bonds issued by the country’s government as well as dealing with the state-run Venezuelan oil company, PDVSA. The US has labeled Venezuela’s leader, Nicolas Maduro, a dictator over his handling of the political crisis in the country, which has seen over a hundred people killed in clashes this year. “We will take all possible steps to protect our citizens. 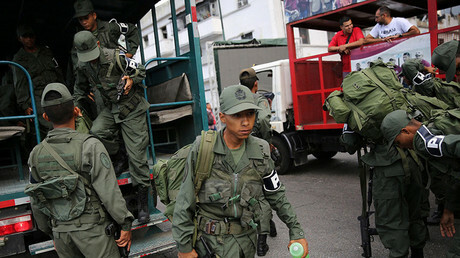 We have all the resources required to do so,” Arreaza said. In case the US the sanctions have a negative effect on Venezuela’s economy and its population, “the responsibility for this will be borne exclusively by US President Donald Trump and the military-industrial complex, which is in control of US policy,” he added. According to the diplomat, the country’s pro-American opposition has played a key role in restrictions being introduced against Caracas. “So that you understand what kind of opposition we have – they have been lobbying, going to Washington to achieve those sanctions against Venezuela,” he said. “Now they are trying to convince the people of Venezuela that the sanctions are the fault of (Venezuela’s president) Nicholas Maduro. This is completely absurd… and the world must know this,” the FM added. Maduro’s political rivals have “betrayed their homeland” by urging sanctions against their own country and should be held accountable for this, he said. 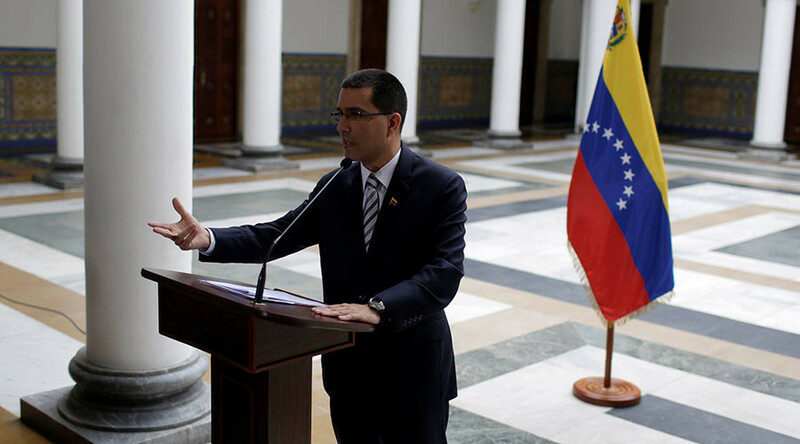 “We need a serious opposition in Venezuela… which loves its homeland despite all the ideological differences that we have,” Arreaza explained. Caracas wants the international organizations, like the UN, to “performed the function, which they were created for” and condemned the US actions, the FM stressed. 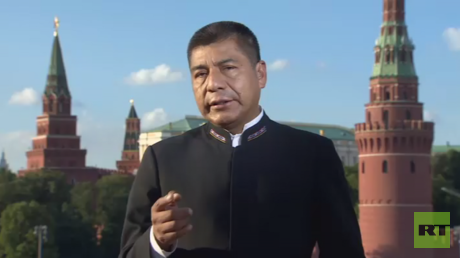 “The most natural reaction would be to recognize that sovereignty of our country must be respected, curb attempts of interfering into the internal affairs of Venezuela and refrain from adopting a policy of unilateral sanctions that violate the principles of international law,” he said.